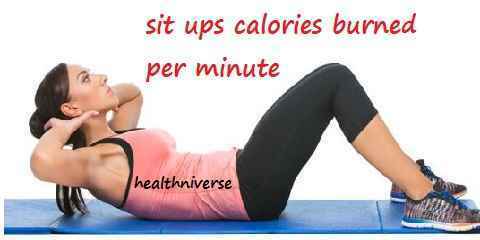 Home » Workout » How Many Calories do Sit Ups Burn If We do them at a Certain Time? 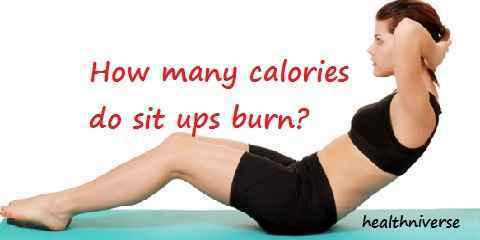 How many calories do sit ups burn? That question remains uncertain since we can’t determine the exact number of calories burn while we are doing some sit ups. The number of calories burn after sitting ups affected by a number of factors. The number of calories from one person to another is not the same. Thus, sit up routine still becomes one of popular workouts among people to burn some calories and fats, to lose some weight or just to get their body in shape. Many people prefer doing sit ups or push-ups to get in shape, to lose some weight or build muscles in certain area of their body. They strongly believe that these body workout can burn up fats and calories in their body. However, many of them don’t know for sure how many calories they burn whilst they’re exercising. What they know is that if they do loads of sit ups they will lose some weight or build up some muscles in a certain area of their body. How many calories we burn after doing sit ups is actually influenced by some factors. The number of calories burned from performing sit ups depends on your weight, intensity, and the duration. If you are a type of person who has big amount of fats then you have to do sit ups more vigorously than a person who has a less weight than you. More vigorous and intense you do the sit ups, more calories you burn. Yet it’s not merely doing sit ups which can lose some of your weight. Doing an intense exercise doesn’t help you get in shape if you don’t monitor what you eat. Doing vigorous sit ups won’t work if you still consume a large portion of meals frequently. Doing sit ups or any kinds of body exercising will be useless if you don’t eat healthily. It is strongly recommended that you choose the healthy food besides doing exercises. If you ask how many calories we estimated burn, well, let say if you perform sit ups for around one minute, about 5-11 calories are burned from your body. Still, it depends on your weight, the intensity and the duration of your sit ups. As a baseline, a 100 pound individual burns 6 calories 1 minute. A 150-pound individual burns about 660 calories per hour. For every ten pounds more you weigh, add 1 calorie/minute. In addition, before you do sit ups there are things have to keep in mind. If you are about to do your first sit ups, that you have never done it before, watch your lower back and take it steadily. You have to pay attention on your neck, too. Don’t let your neck get a strain while doing sit ups. Remember to begin little by little in repetition and gradually build up. Whether you want to lose some weight, burn some fats, build muscles, or just to get in shape, there are a number of factors you need to remember before starting doing the sit ups although there is no actual number to answer the question of how many calories do sit ups burn.